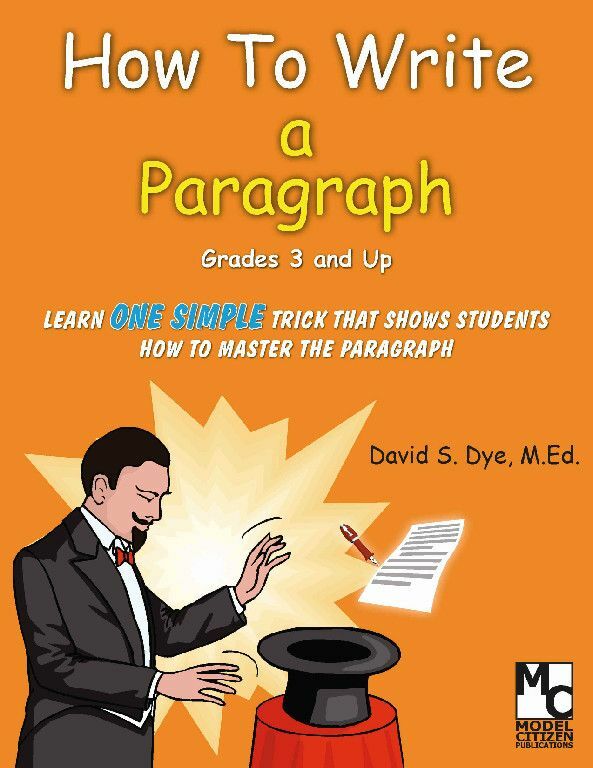 How to Teach the Paragraph is an ebook for $7.99. I know it sounds simple, but I struggled with how to teach my kids to write, especially the reluctant ones. What a blessing this book was in giving me suggestions and hints to get my students started. Geared for grades 3 and up you can utilize it whenever it best fits into your learning. They start by learning the parts of a good paragraph and memorize those parts. Then they will try to write a paragraph. After the basic paragraph is mastered this book will help your students improve the topic, and closing sentences. Practice will be key for learning to write a good paragraph and this book provides suggestion on topics to write about. 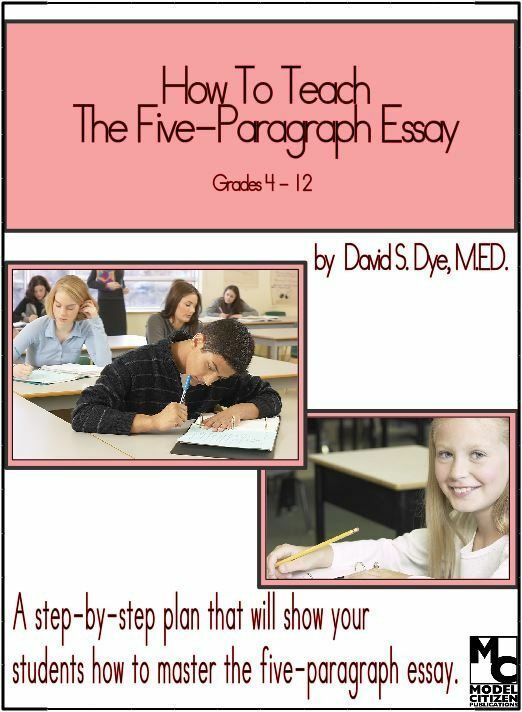 How to Write a Five Paragraph Essay is the next book after your student has mastered the paragraph. This book gives me, the teacher everything I need to know on how to teach my children this, in detailed instructions. 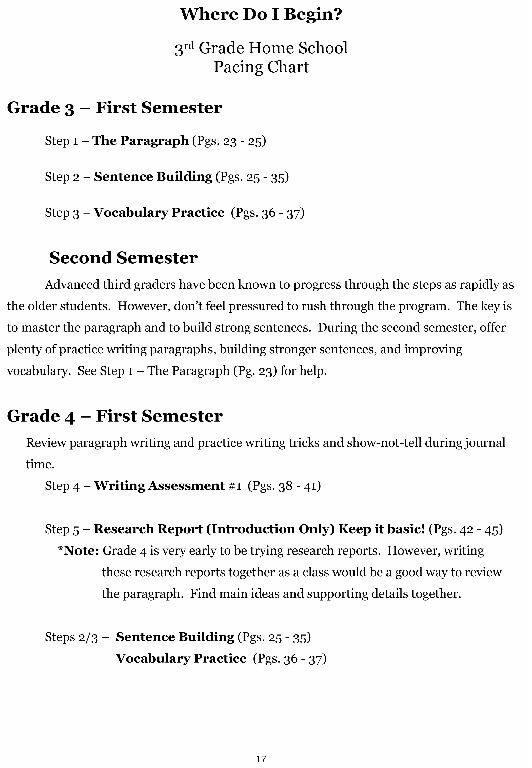 The eventual goal is for the student o be able to write a clear, concise 5 paragraph essay in about an hour. This skill is necessary for future entrance exams and testing such as the SAT. 4th through 12th graders will benefit from the information and format of this book. Available for $17.95 ebook, $19.95 softcover. 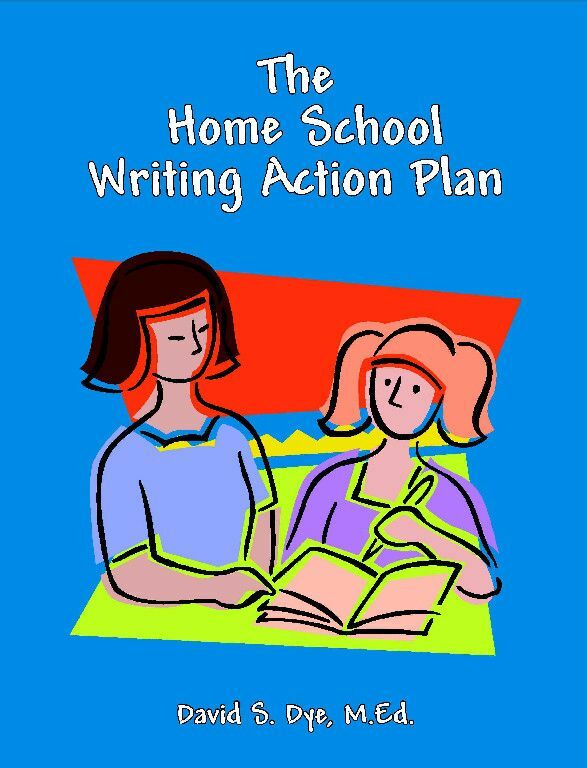 The Homeschool Writing Action Plan can be purchased for $19.95 (softcover), or $15.95 (ebook) and is your ticket to great learning organization for writing for grades 3-12. I know as a homeschooler I struggle to get my children writing, and knowing how much to push. 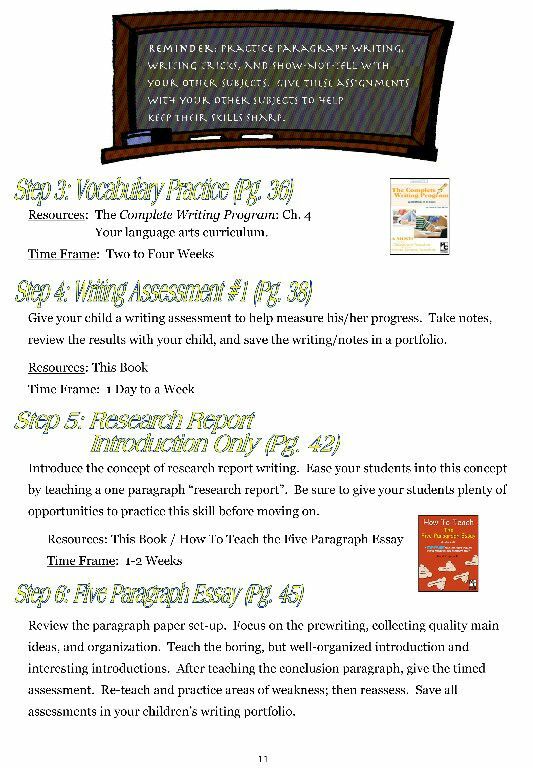 This action plan gives you steps to follow to ease you and your students into great writing. The huge benefit is that you can use this writing program for a variety of ages at one time! Make learning to write easier on the whole family by working together. Bundle #2 : Home School Super Bundle: Includes The Home School Writing Action Plan / The Complete Writing Program / How To Teach the Paragraph / How To Teach the Five-Paragraph Essay / Writing Tricks Plus AND Standards Based Grammar. Select any one grade level or The Home School Edition. I felt this was a very reasonably priced program for learning to write paragraphs and essays. I love that it is not consumable so I can use it with multiple children. I did review the ebook copy and I am not really an ebook person. I did have hubby copy it off for me, but I personally think I would purchase the softcover book if you were interested in purchasing. My kids are wrapping up their summer hiatus here, and we will be able to more thoroughly examine this program with my 4th and 7th grader. I am excited to have the tools necessary to get them interested and successful in writing!. As a member of TOS I received this program free in exchange for an honest opinion.